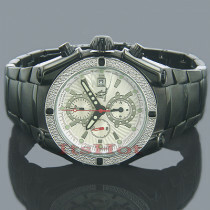 This Raptor Mens Real Diamond Watch by LUXURMAN features 0.25 carats of genuine diamonds on the bezel of a polished stainless steel case. 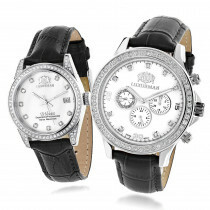 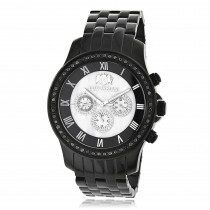 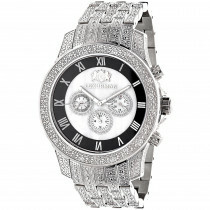 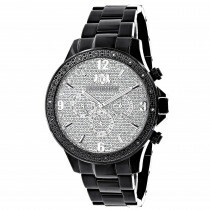 This Luxurman diamond watch showcases a black mother of pearl dial with Date/Day/24 hours subdials, and a black leather band. 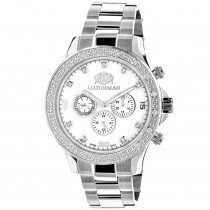 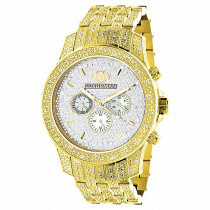 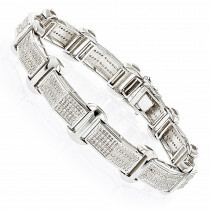 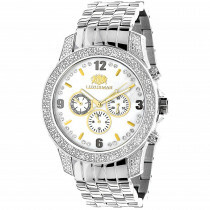 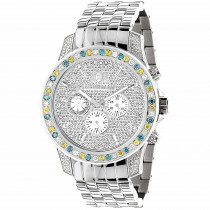 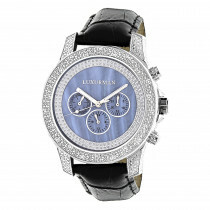 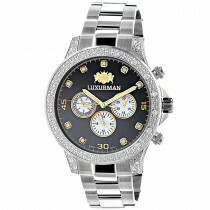 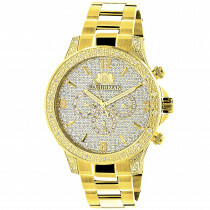 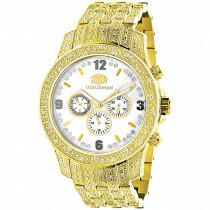 This mens diamond watch by Luxurman comes in full retail packaging with two extra interchangeable straps in different colors and makes a perfect present for any occasion.